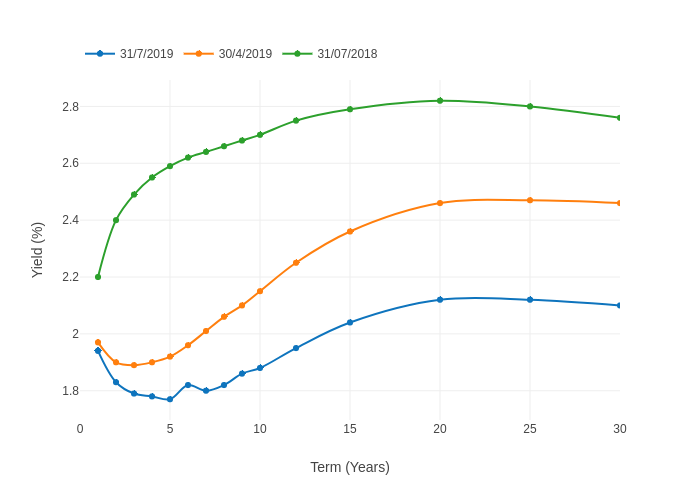 Pershin's interactive graph and data of "" is a , showing 29/3/2019, 31/12/2018, 29/03/2018; with Term (Years) in the x-axis and Yield (%) in the y-axis.. The x-axis shows values from 0 to 30. The y-axis shows values from 1.8120648343904155 to 2.7479351656095843.